Visitors are always welcome to join us for Mass or Confession. 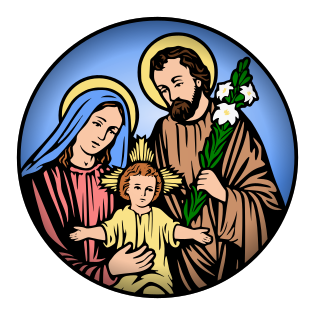 See our complete Liturgy Schedule for all Mass and Confession times. 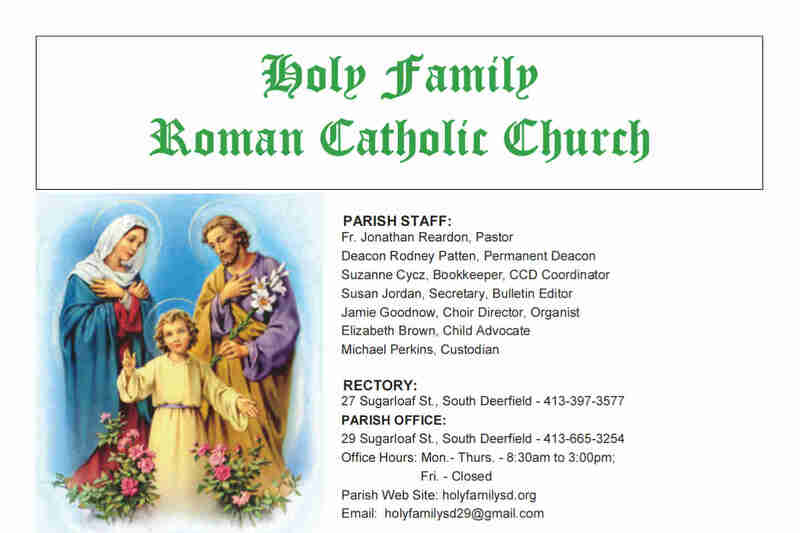 Stay up to date with our newest parish bulletin. but the parish family is the body that makes it a unique and vibrant community with an exciting parish life. Our parish offers a variety of ways to be part of that communal family in addition to the celebration of the sacraments. 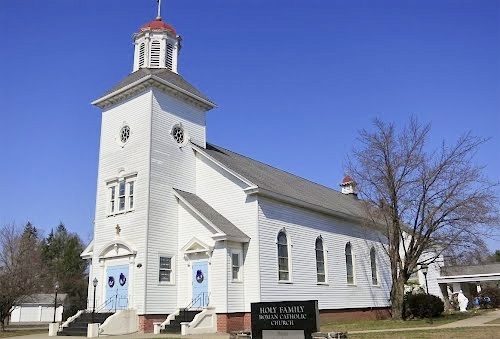 See photos of Holy Family Church’s transformation, and the fantastic results! Through the Sacraments, God gives us His Life, enabling our ultimate happiness and the eternal reward of Heaven. In return for this great gift, we give Him worship.